The following is reference material that allows you to study the covenants on your own. Hope you enjoy it. Click the graph to open it, then click again to zoom in. God is always the initiator of covenants with man. Unconditional covenants do not have curses associated with them when God makes one with man for God does the whole work Himself. Jesus in the New Covenant fulfilled the conditions and curses for ALL of the previous Covenants! Covenants do not appear to ever end. When a new covenant is introduced, the old one is not done away with. But it is eventually fulfilled in Jesus. Since Christ came, He fulfilled and is fulfilling all of them. As long as He fulfills them, they continue to stand (and of course He will forever). The curses of all of the covenants are obsolete since He is always obedient. As we are in Him, we cannot be under ANY of the curses! The covenants all envelope one another chronologically: within the Everlasting is the Edenic, within the Edenic is the Adamic, within the Adamic is the Noahic, etc. The New is within all of the covenants which brings us back to the Everlasting! 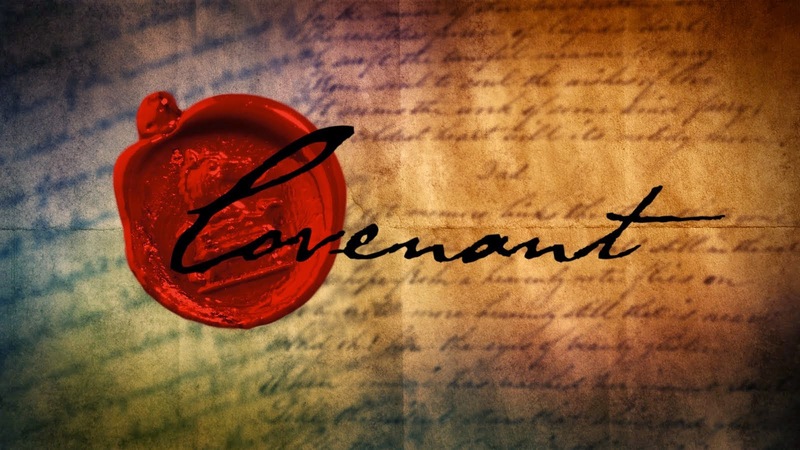 The blood shed for all of these blood covenants, except for the New Covenant and Everlasting Covenant, are types of Christ’s blood which is the anti-type. i.e. the blood for all of these other covenants were really only symbols of the real blood which was the blood of Christ to fulfill them all! Seal: is a thing of remembrance; a thing that we can point to and say, “This was set up or happens because of my covenant with God. ” It is also a pre-cursor of the blessings involved in the covenant. Since covenants are forever, then the seal naturally would be forever as well. The New Covenant was to the Jews! The houses of Israel and Judah are mentioned in Jeremiah and Ezekiel with whom He made the Covenant. Hebrews 8-10 was written to who? THE JEWS! The Gentiles were included for Jesus came to save the world but it was to the Jews FIRST, then to the Gentiles (Rom 1:16; 2:10; 9:4) The Church was NOT a parenthesis in God’s plan. They were the goal and consummation of it! But the Jews were to be the first of the Church, and a few were. But for the most part the Jews rejected Christ so the Church became composed mostly of Gentiles. But the plan was for the Jews to believe and evangelize the world for Jesus. We do not have all the details about the Everlasting Covenant but the Bible definitely mentions significant events and planning that happened before the world began. 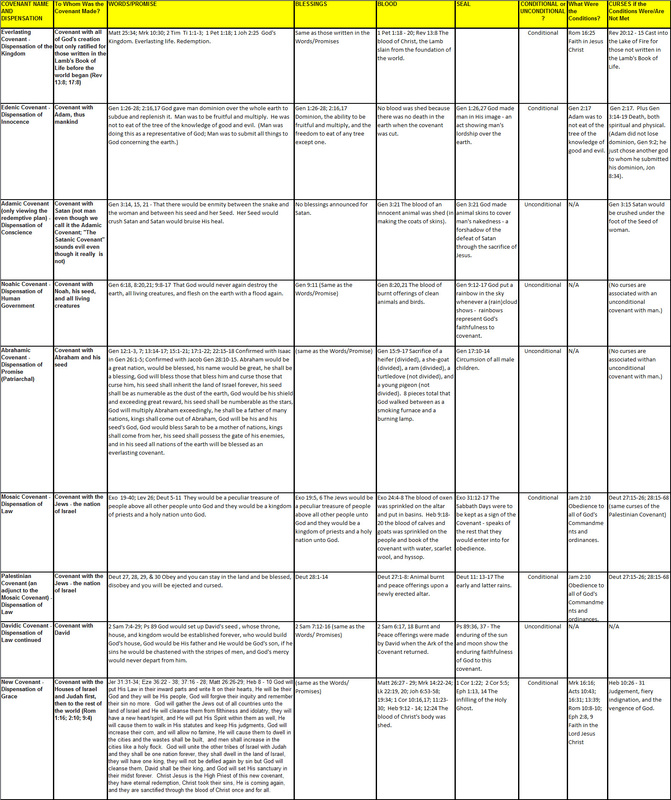 What we have I have put within the chart.